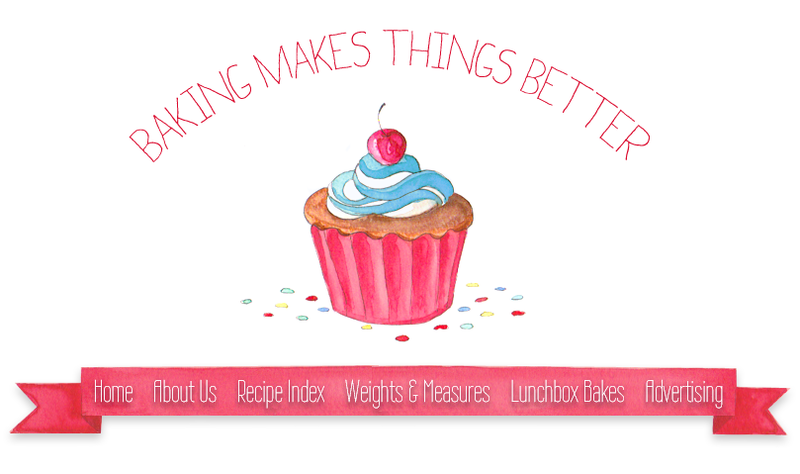 Baking Makes Things Better: We’ve had a makeover! Pictured above is our old look. Courtenay and I were beginning to get quite the headache from all the pink and wanted something a little bit more subtle, yet still girly. Simon’s awesome mum, Michelle (who blogs over at thejamjar), came on board and helped us out, revamping our blog for us. What do you think? On the right hand sidebar you will now find our sweet new social media buttons which will take you to where you can find us on Vimeo, Twitter, Email, Facebook and Pinterest. Cute! Love it - looking great! And loving looking through your recipes too. Made your red velvet cake last week for a baby shower and it turned out perfectly (well I thought so for my first time making it anyway). So delish! Thanks! Looks so pretty and cute exactly what a baking blog shuld look like. Love it. It is cool. We needed Simon's Mum when we were getting the AMQG one up and running! Looks amazing girls! I really love it. 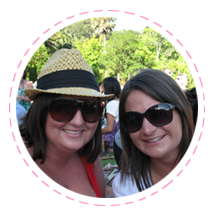 Love the new blog makeover, it's simple yet effective! I'm in the middle of trying to redesign my blog, it's so hard! Oh your new look looks fantastic!! Its so cute and pretty! The cupcake is darling too!! CONGRATULATIONS! And also well done on your FOOD TV partnership! It is so amazing for you! !